Session 380. Aspendale delivered today! A good westerly that was gusty in the morning moderated during the afternoon. It was cold and raining when I arrived so I sat in the car for a while checking out the wind and weather on my phone. The crew all converged on Aspendale - Mike, Anthony, Stu W, Stu S and James. I use my Union 8m kite as it looked like more strong winds were on the way. It was the right choice as I well powered most of the time and could ride the waves well, some of which were a reasonable size. My drysuit was nice and warm. I dropped my kite close to shore and didn't relaunch it quick enough, so I swam in, untangle the lines and relaunched. There was still plenty of wind so I made it back to Gnotuk. 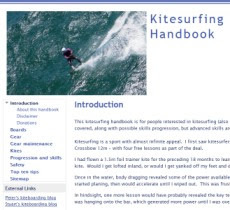 Another group of kitesurfers came through doing a downwinder - which I was also thinking of doing. Smiles all round after this session. Lot of kitesurfing and some nice waves. I was quite pumped at the end and stopped for a great coffee and snack at the Siesta Cafe in Mordialloc. Ah that looks awesome! Jealous.